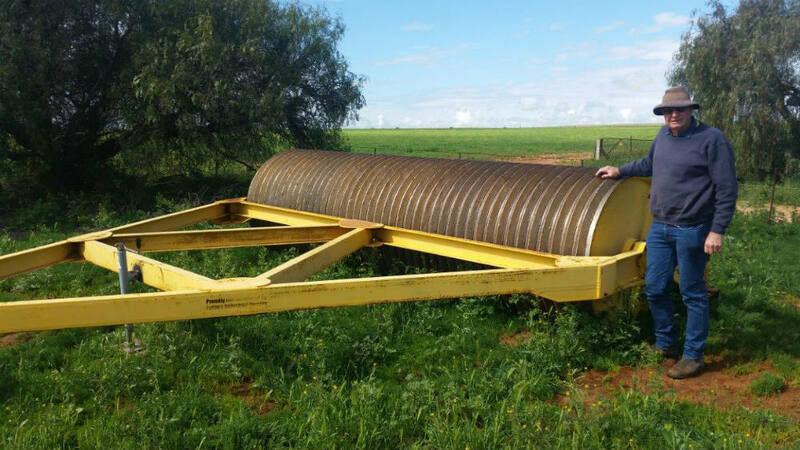 "Andrew and I, purchased a 19.7 tonne roller made to order from Tatiara Industrial nineteen months ago. After 970 hours work. We can recommend their craftsmanship , it has operated faultlessly, with results above all expectations. Over the past nineteen months it has been used in 1200 acres of pasture renovation on previously rocky swamp land and water course country , crushing and flattening limestone rock beds into habitable pasture and cropping land as seen in the second photo. It has been invaluable to internal road infrastructure and paved the way for many new fences, rocky out ridged paddocks previously only grazed by stock, now provide the home for crops and hay. The roller although not finished renovating our country is now being subcontracted to other farmers and graziers in the district." “Our stone roller we purchased in 2009 and has worked well for us. We use it to break up patches of limestone outcrops on our Northern Mallee properties. 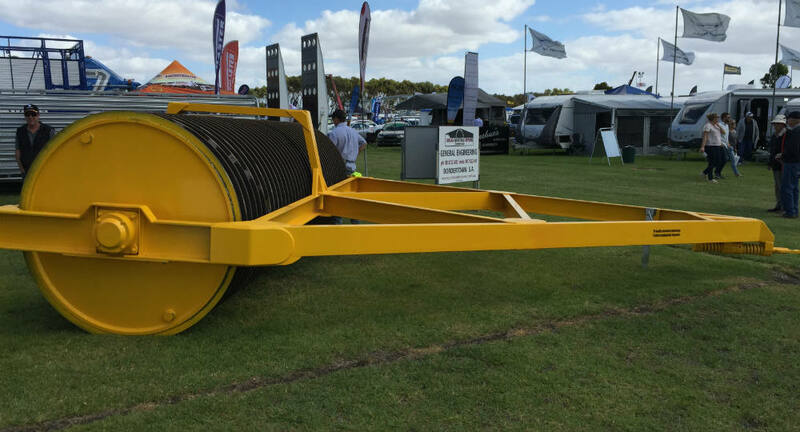 We generally use the roller in late Summer early Autumn to reduce the size of stones which are dragged to the surface by the knife points on our seeder bar. We are now also using it more after sowing legume crops in particular when harvesting is required just above the ground surface. Most years we would roll about 300 ha. We hard-faced the rib edges after our first years’ use to strengthen reduce the wear of the leading edge. 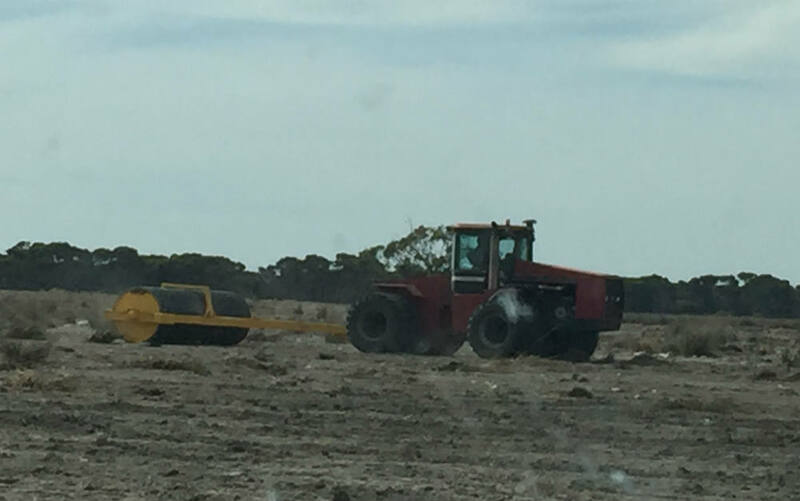 "In 2014 we purchased a 5 ft x 16 ft roller from Tatiara Industrial Repairs which is used predominantly for initial breaking of rocks on deep ripped limestone country. On average we roll approximately 1000 acres per year due to recent land purchases. We believe that our roller does a superior job because of its design features such as the barrel thickness, bearing sizes, and frame design. The main possible weak point is potentially the size of the cushion hitch draw bar, for a roller of this size it may need a larger hitch in the future. Overall, we are extremely satisfied with the way the roller crushes rocks and has stood up to the places we have taken it."